Harvard, Oxford, MIT. Which are the next universities to join the world’s educational elite? A new look at European refugee data shows challenges to integration. 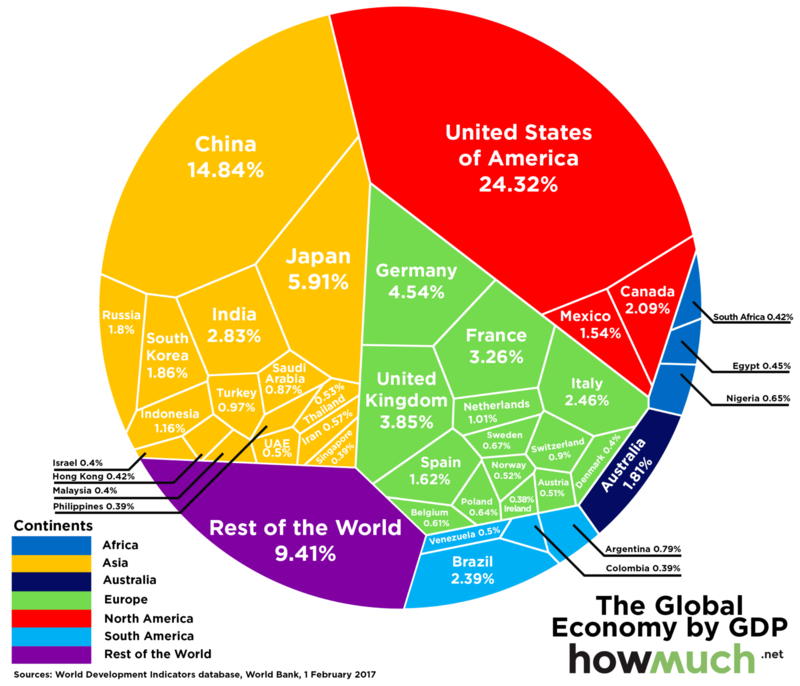 China and India to outstrip the US. The top 10 economies now and in 2050. Private institutions create 95% of money. But their short-termism could be dangerous. What could destroy the world wide web? The three biggest fears of the man who invented it. Gene splicers, exo-skeleton builders and America’s youngest mayor. Meet the under-40s making up the Young Global Leader class of 2017. Being good just isn’t good enough. Leadership lessons from a self-made tech millionaire. Using satellites to map the past. Meet a space archaeologist . Hand-made is special in an age of robotization. Bringing investment to artisans worldwide. Getting on the grid and giving up cash. The right policies for India.